FLUXUS LLC has a multi-disciplinary team of skilled cross-border entrepreneurs and professionals, with a strong consultant base comprised of experienced business executives, real estate developers, financial advisors, top Intellectual Property attorneys, and research scientists. The team has been forming a series of consortia and joint ventures with strategic partners around the world, allowing the FluxSystem™ to benefit from a global supply chain. Fanyu Lin is an award-winning entrepreneur and architect, advocating for impact investing and serving as Chief Executive Officer of Fluxus LLC, a company committed to improving the quality of life through a new way of delivering sustainable and affordable housing with intelligent manufacturing and industrialized method to build in communities across the economic spectrum. Lin was awarded as the 2017 SOCAP Entrepreneur by Social Capital Markets. She is a Founding Delegate of the inaugural Bloomberg New Economy Forum amongst 300 leaders that Michael Bloomberg brings together to collaborate on actionable solutions on critical global issues. As an architect, Lin worked on the post-disaster reconstruction projects after the 2008 Sichuan earthquake in China. She worked with X-Prize Foundation and a group of thought leaders on prize design for Humanitarian Housing in 2016 and Housing for Future in 2017. 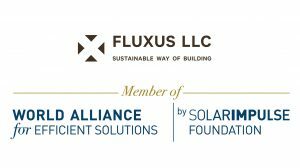 At Fluxus LLC, Lin works with a team of visionaries and strategic alliances to jointly advance FluxHouse development, and position it as an innovative mass housing solution, arguing for the alternative of human habitat, where urban efficiency and social welfare play the leading role. She brings a group of leaders in architecture, real estate development, finance, information & construction science to the company’s team and advisory board, and leads the process of securing several strategic collaborators, including a world-leading supplier of advanced materials, an international construction management and development consulting firm, a world-class virtual construction software company, and several multi-national general contracting, manufacturing and logistics service providers, to ensure performance quality and excellence in the supply chain for the Fluxus Prefab technology. In a Fluxus pilot project, Lin led the re-design of rapid deployment mission start-up camp for the United Nations in response to the UN’s Environment Strategy initiative to achieve quantifiable progress across five key pillars including energy, water and wastewater, solid waste, wider impact and environmental management system. Fanyu Lin received Master of Science degree in Advanced Architecture Design from Columbia University in the City of New York, where she participated in Columbia Building Intelligence Project (C-BIP). In its pursuit of new futures for building intelligence, the project reintroduced prefabrication as an innovative solution for the greatest inefficiencies in the building industry. Through this project, Lin gained expertise in industrialization 4.0’s application in architecture including prefabrication, Building Information Modeling, simulating performance and multi-objective optimization. Fanyu Lin received Bachelor in Architecture from China Central Academy of Fine Arts in Beijing. She was honored with a certificate in Business Administration and Management from Baruch College – The City University of New York, and graduated from Innovation and Entrepreneurship program at Columbia Business School. Harry Stendhal is the Founder and Chief Visionary Officer of Fluxus LLC, bringing 25+ years of business experience and serving to recognize the visionary attributes needed to integrate a complex business with many diverse aspects. Stendhal has been playing a key role in the advancement of FluxHouse, a prefabricated modular building system envisioned by George Maciunas, one of the most iconic artists-architects of the 20th Century, who proposed “Fluxhouse, Plan for an Artist Condominium in New York City (1966)” in recognition of the scarcity of economical working and living space for artists is part of the general problem arising from urban decay, and formed FluxHouse Cooperatives in SoHo (1966-1975) as a non-profit corporation to purchase, renovate and maintain suitable buildings for creative communities’ occupancy. The New York Times coined his famous nickname as the ‘Father of SoHo’. Maciunas was educated in architecture at Cooper Union and Carnegie Institute of Technology, held several prestigious professional positions in firms including Skidmore, Owing and Merrill, Olin Mathieson Chemical Corporation and Knoll Associates. As an architect, he was credited with the invention of a structural framework and received a patent for the prefabricated building system in 1961. His design of Fluxhouse, as an example of the system was completed and copyrighted in 1965. Maciunas’ proprietary and patented inventions for prefabricated construction skillfully combined interdisciplinary intelligence on architectural design, efficient manufacturing process, and affordable urban development, and was considered “ahead of its time” and “beyond current (then) technology” when first released. In recognition of George Maciunas’ architectural contribution, Stendhal has re-introduced and re-positioned the contemporary relevance of Maciunas’ vision and design in the context of today’s urban setting. Stendhal commissioned an in-depth Assessment Report of the Fluxus Prefab System from the perspective of prefabrication design and the industry’s economic history and outlook; the advantages and disadvantages of the system, as seen in its details, materials, and fabrication process; the marketable features of the system and its various applications as potential products in the context of the current socio-economic trends, consumer preferences and aesthetic values; and a sequence of steps designed to commercialize the Fluxus Prefab System along a vertically integrated business model. Under Harry Stendhal’s leadership at Fluxus LLC, George Maciunas’ architectural legacy was carefully preserved and curated, and recently revived and improved by an esteemed corporate organization consisting of talented visionaries from the worlds of architecture, engineering, material science, real estate development, nonprofit, politics, law, and finance. In mid-2014, Mr. Larson took over the role of CEO of The Downtown Detroit Partnership; an organization whose board he has been a member of since 1995. The Downtown Detroit Partnership (DDP) is a private/public partnership of corporate and civic leaders that supports advocates and develops programs and initiatives that create a clean, safe, and inviting Downtown Detroit community. DDP is involved with a large number of enterprises within Downtown Detroit. The Downtown Detroit Business Improvement Zone (BIZ) is a special assessment district formed by property owners that provides cleaning, safety and landscaping services. Examples include safety and security initiatives such as Project Lighthouse and Clean Downtown, which provides litter and graffiti removal and landscape maintenance. The Detroit 300 Conservancy is a subsidiary of the Downtown Detroit Partnership and raised more than $20 million to create, design and construct Campus Martius Park. Opening in 2004, the park was the recipient of the first ever 2010 Urban Land Institute’s Amanda Burden Open Space Award. It has more than 2 million annual visitors and stimulated an estimated $1 billion in new investments downtown. The Conservancy is also activating, improving and programming three other historic downtown parks and public spaces including Grand Circus Park, Capitol Park and Beacon Park. DDP has several other important initiatives/affiliates; the first being the Detroit Experience Factory (DXF), which is a physical storefront, open six days a week, in the heart of downtown Detroit, that connects people to resources that help them live, work and engage in the city. Another is MoGo Detroit Bike Share, which is made possible by a partnership with the City of Detroit Department of Transportation, PBSC Urban Solutions and Shift Transit. MoGo is available 24 hours a day, 7 days a week, 365 days a year. Finally, Build Institute helps turn business ideas into reality by providing aspiring and experienced entrepreneurs with the necessary tools, resources and support network within the City of Detroit. To date (mid-2017), they have graduated over 1000 participants and provided them with classes, networking events, mentorships and connections to a nurturing community. Eric is also the founder, president, and chief executive officer of Larson Realty Group (established in 1999), a privately owned, Michigan based company engaged in real estate investment, development, asset management and leasing. Mr. Larson has over 30 years of experience in real estate and prior to establishing Larson Realty Group, served as vice president of a global real estate company, Hines, and as a partner and senior vice president with Bruce S. Brickman and Associates in New York. During Mr. Larson’s career he has developed, financed, owned and managed over $3 billion of real estate including; General Motor’s purchase and redevelopment of the Renaissance Center (5.5 million square feet) and Millender Center, the development of One Detroit Center (1 million square feet) and The A. Alfred Taubman Center for Design Education (1 million square feet) in downtown Detroit. In addition to owning Larson Realty Group, Mr. Larson served as managing partner at Bedrock Real Estate Services LLC (Bedrock) between February 2013 and February 2014. Bedrock is a Detroit-based full service real estate firm affiliated with Dan Gilbert’s Family of Companies which includes, Quicken Loans, Rock Ventures, The Jack Casinos and The Cleveland Cavaliers. Immediately prior to joining Bedrock, Mr. Larson served as Non-Executive President for Olympia Development of Michigan. Olympia Development of Michigan is a Detroit-based full-service real estate company owned by the Detroit entrepreneurial Ilitch Family. The company is responsible for developing and investing in some of Detroit’s most recognized and visited venues, including the nationally acclaimed Comerica Park. As head of Olympia Development, Mr. Larson led the real estate development projects which included the planning, designing, financing and development activities for the new home of the Detroit Red Wings and Detroit Pistons (The Little Caesar’s Arena). He was also actively involved in the organization’s economic development activities, while simultaneously leading the management, development, parking and security divisions. Mr. Larson also founded, and is now serving on the board of the Community Investment Support Fund (CISF) which is a Michigan Non-Profit Corporation. The purpose for which CISF was organized is multi-faceted, but it engages exclusively in such charitable and educational activities as may qualify it for exemption from Federal income tax under Section 501(c)3 of the Internal Revenue Code of 1986, as amended. The primary purpose of CISF is to promote economic development and the creation of wealth and job opportunities in low-income communities. This is being accomplished by promoting and facilitating the investment of both private and public capital in the form of equity or loans and providing operational assistance with commercial real estate projects, retail and wholesale businesses, service providers and business incubators. A resident of Bloomfield Village, Michigan, Mr. Larson serves as chairman of The Robert C. Larson Leadership Initiative and Urban Land Institute (ULI) Detroit Governance Committee. In the past he served as chairman of The Parade Company, Detroit Downtown, Inc., The ULI Detroit District Council, Detroit Downtown Partnership and The Detroit Business Improvement District. He is currently a trustee, governor and/or member of the board of The Detroit Economic Growth Corporation, The Detroit Riverfront Conservancy, M-1 Rail, The Detroit 300 Conservancy, MoGo, Detroit Bike Share, The Downtown Detroit Business Improvement Zone, Jefferson East, Inc., The Parade Company, Recovery Park, The Urban Land Institute, The Urban Land Institute’s Leadership Council, LOCUS, Grand Jester of The Distinguished Clown Corp, The Community Foundation for Southeast Michigan, Greater Detroit Chamber of Commerce. Mr. Larson is a past trustee and/or member of Beaumont Hospital, Beaumont Hospital Oncology Campaign Committee, Develop Michigan, Inc., the Detroit Institute of Arts Junior Council, Detroit Economic Growth Corporation, Pewabic Pottery Board of Directors, Detroit Historical Society Board of Directors, The Detroit Eastern Market Advisory Services Panel, The Building Operators Management Association (BOMA), The Real Estate Roundtable, Harvard School of Design Advisory Panel, mentor at The University of Michigan School of Architecture, Marian High School Dad’s Club, University of Michigan – ULI Real Estate Forum Committee, The United States Green Building Council and Southeast Michigan Council of Governments. Mr. Gallagher is an executive advisor of FLUXUS LLC leading technology and business innovation. Michael Gallagher is a recently retired executive from Covestro LLC, (formerly Bayer MaterialScience). In his most recent position, he headed the North American Innovation Office. In this role, he was responsible for the development and management of the region’s innovation strategy working closely with all business units. He centrally managed external collaboration with consultants, startups, academia, research institutes and national labs; regional intellectual property strategy; open innovation services; knowledge management resources; and new business incubation. With peers in other regions, Mr. Gallagher and his team helped Covestro successfully launch many high impact innovations including low carbon footprint polymers, novel lightweight composites, high performance protective coatings and advanced insulation materials. These innovations are integrated within a broad spectrum of industries such as, fuel efficient automobiles, energy efficient buildings, LED lighting, and others. He began his career as a research chemist at BF Goodrich in 1979. Following acquisitions by Polysar and later Bayer, he gained experience as an individual contributor in technical service, sales and product development. Through the 1990’s, he managed core groups within the global synthetic rubber industry including marketing, business development and specialty products. In 2002, he became a founding member of the business innovation team and community. Passionate about sustainable innovation, Mr. Gallagher has served as an executive advisor in a variety of public/private sector partnerships focused on developing and bringing energy efficient, low environmental impact innovations responsibly into the marketplace. He has worked with interdisciplinary teams to improve building energy efficiency, electrochemical technologies, automotive fuel efficiency and water resource management. Marc Elliott serves as Fluxus LLC as General Counsel, with over 30 years experience practicing business law and litigation. Mr. Elliott has extensive arbitration experience involving complex construction claims and business disputes at American Arbitration Association (AAA). He also served as arbitrator for the Construction Industry section of the AAA as well as the International Chamber of Commerce. With extensive mediation experience, Mr. Elliott also serves as a Panel Member at Commercial Division of the New York Supreme Court. Mr. Elliott’s cases have been covered by The New York Times, The New York Law Journal, The New York Post, The New York Daily News and The Wall Street Journal, among others. Mr. Elliott’s institutional clients are from a wide variety of fields including banking/finance, construction, architecture, engineering, real estate (ownership, development and management), insurance, law, medicine, accounting, consulting, import/export, etc. His individual clients include banking/finance, real estate investors/operators/developers, architects and engineers, artists, entertainers, musicians, nightlife/hospitality and numerous foreign clients with US business interests. Mr. Elliott reported judicial opinions in varied areas including corporate dissolutions, construction law, corporate and personal liability, partnership law, professional malpractice, debtor and creditor law, among others. Dr. Uddin is a senior advisor of FLUXUS LLC on advanced building material innovation. Dr. Uddin is a leading researcher in the field of disaster resistant panelized construction and worked with the implementation of fiber-reinforced polymer (FRP) for hazard resistant structures against earthquake, blast, flood and hurricane loading. Dr. Uddin is currently the PI for three National Science Foundation (NSF) funded research grants. An international collaboration with National University of Ireland and Queens University of UK sponsored by NSF focuses on next generation Bridge Weigh-In-Motion (BWIM) System to effectively manage the nation’s aging bridge infrastructure, and national collaboration with University of Florida and Tuskegee University supported by NSF focuses on flood and hurricane resistant design. He has served as principal or co-principal investigator on research projects whose cumulative funding exceeds $6.0 million, and directed numerous Doctoral and Master’s theses based on the sponsored research projects. Dr. Uddin has been actively involved in all aspects of the Department including ABET Assessment and Senior Design Projects. Dr. Uddin is the author/co-author of 4 books, over 150 publications, and received NSF Grants to organize 1st international workshop on wind storm and Storm Surge Mitigation Construction, in Dhaka, Bangladesh. He is a Faculty Fulbright Scholar, a fellow of ASCE and Chair of the Executive Committee of the ASCE Council on Disaster Reduction Management (CDRM). He is the Engineering Editor of the ASCE Journal of Natural Hazards Review. With over 30 years of experience in architecture design, Scott D. Weinkle serves as Senior Architect at FLUXUS LLC. Mr. Weinkle completed his Architectural Registration in New York State in 1990, and became a registered architect in Florida in 2005. Mr. Weinkle’s design has been published in: HIGHRISE (Canada), Tribeca Loft, INTERIOR DESIGN, Maya Stendhal Gallery, LOFT (Spain + Mexico), Tribeca Loft, FABRIC ARCHITECTURE, Dorsay Restaurant, L’ARCA International Magazine of Architecture (Italy), Proposal for the Slovenia House, AB Architectural Magazine for theory of Architecture (Slovenia), & Proposal for the Slovenia House. 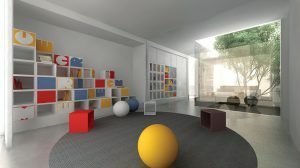 Mr. Weinkle earned his Bachelor of Arts in Architecture at the University of Florida, and Master of Arts in Architecture in from the University of Florida. Beatrice Galilee is Daniel Brodsky Associate Curator of Architecture and Design at The Metropolitan Museum of Art. At FLUXUS LLC, she is advising the CEO on promoting and rolling out the FluxHouse initiative. Trained in Architecture at Bath University, and in History of Architecture MSc at the Bartlett School of Architecture, UCL, Beatrice specialises in the dissemination of architecture and design through city-wide projects, media, curatorial practice, research, editing and teaching. Ms. Galilee is the Chief Curator of the 2013 Lisbon Architecture Triennale, Close, Closer. She was co-curator at 2011 Gwangju Design Biennale, 2009 Shenzhen Hong Kong Bi-City Biennale of Architecture and Urbanism, and curator of the experimental performance design projects Hacked and Afrofuture at Milan Design Week. She is the co-founder and director of The Gopher Hole, an exhibition and project space in London, and is associate lecturer at Central Saint Martins. From 2006-2009 Beatrice was Architecture Editor for Icon Magazine, one of Europe’s leading publications in architecture and design. In 2008 she won the IBP Architectural Journalist of the Year Award. Ms. Galilee’s writing has been published in a number of international magazines and books as well as daily newspapers, including Domus, Abitare, MARK, Tank, Pin-Up, Above, Building Design, Architectural Review, Architecture Today, RIBA Journal, Architect’s Journal, DAMn, Frame, Wallpaper, Another Magazine, and the Serpentine Pavilion catalogue. Ms. Galilee has been invited to sit on a number of international juries and is a regular speaker at events, symposia and conferences on the topic of contemporary critical design and architecture. Lu Xun is the cofounder and director of the Sifang Art Museum and its surrounding architectural park in Nanjing, China. He is a contemporary art collector and sits on the board of the acquisition committee of Tate Modern, London. Since 2003, he has commissioned more than twenty award-winning architects and artists to promote contemporary art and architecture in China. His collaborators include Steven Holl, Irata Isozaki, Ettore Sottsass, David Adjaye, Mathiaz Klotz, Ai Weiwei, as well as Pritzker prize winners Ryue Nishizawa, Kazuyo Sejima, and Wang Shu. He received master degrees from Cambridge University and the London School of Economics. Angela Topacio is the co-founder, Managing Partner at G Y R O Creative Group. Ms. Topacio is advising FLUXUS LLC on business strategy and development. G Y R O is a team of strategists, designers, researchers, writers, technologists, and account managers. They engage with executive teams to strengthen clients’ brands through the integration of business strategy, brand storytelling and design. The result is brand and business clarity—internally and externally—leading to sustainable and manageable growth. As a specialist in B2B and B2C brand development, they have partnered with companies like Delphi, Olympia Development – The District Detroit, Aborlight, Shinola, Detroit Athletic Club, M1-Rail, Detroit Future City, Comerica Bank, GKN Automotive, Clek Inc, Magna International, MacLean-Fogg. Andy Redfearn has 25 years of experience working with the YMCA in the UK. He was previously the Director of Housing and Development of the largest YMCA in Europe, YMCA London South West, is currently a trustee of another YMCA in London and now also sits on the YMCA National Housing and Accommodation steering group. Mr. Redfearn now acts as a consultant in housing and development and has been advising FLUXUS LLC. Mr. Redfearn was the creator of Y:Cube Housing – a ground-breaking approach to delivering a genuinely affordable and aspirational housing product using modern methods of construction. 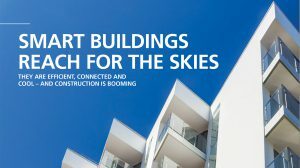 He formed a partnership with world renowned architects, Roger Stirk Harbour + Partners, along with the international consultants, Aecom, and leading European manufacturer, SIG plc, to develop a new, volumetric housing product that out-performs traditional forms of construction in both quality and performance. The first of many schemes has recently opened in London, UK. Mr. Redfearn is seen as a leader in this field of work, speaking at many national events. In 2015, Y:Cube was awarded the silver award by the Edison Awards in New York, a global initiative that promotes innovation and creativity. Mr. Redfearn has developed significant knowledge, experience and partnerships within the housing development sector, with focus on the use of modern methods of construction to deliver housing products that meet the huge need of affordable housing both in the UK and globally. Dr. Shen is an advisor for information technology’s application to the FluxSystem. He is also co-director of Advanced Construction and Information Technology (ACTION) Laboratory at Columbia University in the City of New York. Dr. Shen focuses on applying advanced information technology to the Architecture, Engineering and Construction (AEC) industry, as well as to sustainable urbanization in a broader scope. Prior to his current position, Dr. Shen was a Senior Member of Technical Staff at the research division of AT&T Services. He had also conducted research at IBM T.J. Watson Research Center, Telcordia Technologies (formerly Bell Communications Research, now part of Ericsson), Samsung Advanced Institute of Technology and Singapore’s Institute for InfoComm Research (A*STAR). He authored numerous articles and technical reports, including peer-reviewed publications at top journal and conferences sponsored by Association for Computing Machinery (ACM), Institute of Electrical and Electronic Engineers (IEEE), and International Federation for Information Processing (IFIP). He also developed several Internet standards and specifications, published by Internet Engineering Task Force (IETF). In addition, he is an inventor of 3 awarded and 8 pending United States patents. Dr. Shen received a Ph.D. in Electrical Engineering and did postdoctoral research in Computer Science, both at Columbia University. Richard WJ Liu is a successful business executive with more than 15 years of experience in managing international corporations of design and manufacturing industries. Mr. Liu brings a strong set of skills and knowledge ranging from business development, leadership, marketing, sales and customer relations to the company. Peter Knitzer is on the Advisory Board of Columbia University Business School’s Lang Center for Entrepreneurship, and is advising FLUXUS LLC which was part of Columbia University Business School’s Innovation and Entrepreneurship program. Mr. Knitzer has extensive experience of running big financial institutions. He spent 14 years at Citigroup in many roles including the Chairman & CEO of Citibank North America. He was on the Board of Directors and served as President at the E*TRADE Bank. He was the Executive Vice President at the Canadian Imperial Bank of Commerce (CIBC) in Toronto, CA. He is a Board Member of Regional Management (NYSE: RM), and Managing Director at Carldan Capital LLC. Mr. Knitzer is on the Board of Directors, and was the former Board Chair of Habitat for Humanity New York City – an organization that transforms lives and communities by building quality, affordable homes with families in need, and by uniting New Yorkers around the cause of affordable housing. Peter Knitzer received his M.B.A. in Marketing and Finance from Columbia University and completed his undergraduate work at Brown University. Michael McGregor is Communications Consultant at FLUXUS LLC. He creates rich content and social business applications to help the world engage with the transformative prefab housing system. Mr. McGregor is a creative consultant and producer specializing in bringing a human touch to all things digital. As Vice President of Communications, Mr. McGregor oversaw Kickstarter’s global communications initiative and shared Kickstarter’s unique story in over 17 international markets — developing it into the foremost source of crowdfunding for artists, producers and creatives, in any timezone. Mr. McGregor now works out of Mexico City as an international creative consultant working to better create a better future for all. UHY Advisors is FLUXUS LLC’s tax & business consultant. It is one of the top 20 professional services firms in the US, and UHY International is one of the largest accounting networks in the world. Hundreds of employees serve clients ranging from the dynamic middle-market to Fortune 500 companies, and provide audit and attest services through UHY LLP, a licensed independent CPA firm. UHY Advisors, Inc. and its subsidiaries provide tax and business consulting services. The Venture Development Center is FLUXUS LLC’s business partner based in Boston. Designed to accelerate time to investment and market in Boston and worldwide, the VDC is successfully building high potential companies impacting the most lucrative and cutting-edge industries. G Y R O Creative Group is a team of strategists, designers, researchers, writers, technologists, and account managers. They engage with executive teams to strengthen clients’ brands through the integration of business strategy, brand storytelling and design. The result is brand and business clarity—internally and externally—leading to sustainable and manageable growth. As a specialist in B2B and B2C brand development, they have partnered with companies like Delphi, Olympia Development – The District Detroit, Aborlight, Shinola, Detroit Athletic Club, M1-Rail, Detroit Future City, Comerica Bank, GKN Automotive, Clek Inc, Magna International, MacLean-Fogg.